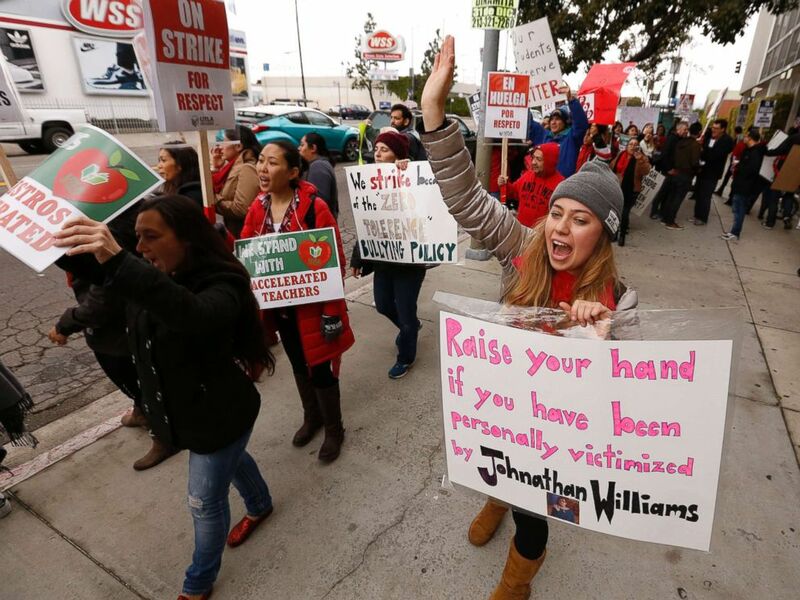 As marathon talks to end the Los Angeles teacher strike were reportedly "making progress" Monday, union representatives told educators to report to picket lines on Tuesday even if a tentative agreement is struck. "Report to picket lines as usual in the morning on Tuesday," the statement said. 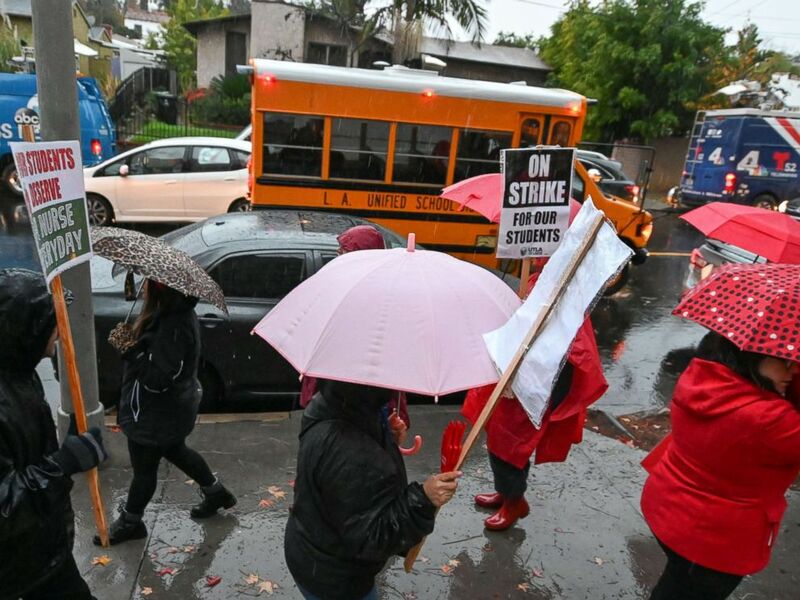 A school bus arrives with students as teachers and their supporters picket outside John Marshall High School in Los Angeles, on the first day of the teachers' strike, Jan. 14, 2019. "Our members voted 98% to authorize a strike, and when we end the strike it will also be up to our members to ratify any tentative agreement," the union said in its statement on Monday. "We continue to bargain for an agreement today and will keep you posted." School district Superintendent Austin Beutner said last week that the district doesn't have the money to meet all of the union's demands. 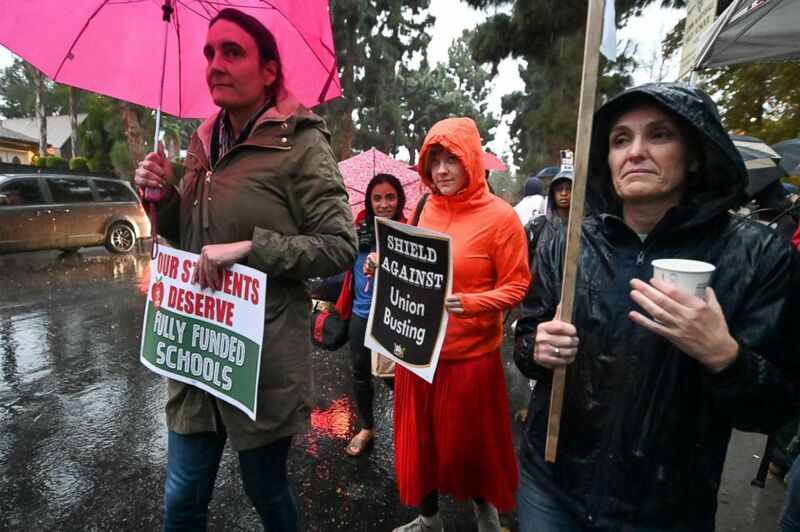 Teachers and their supporters picket outside John Marshall High School in Los Angeles on the first day of the teachers' strike, Jan. 14, 2019. "If we allow this movement to win, then our schools will be privatized, our students will have less equity and less access, and our jobs and our healthcare will be attacked," said Caputo-Pearl at a rally on Friday.